This carriage house was built to complement an existing historic carriage house that had been converted into a home in the 1960’s. 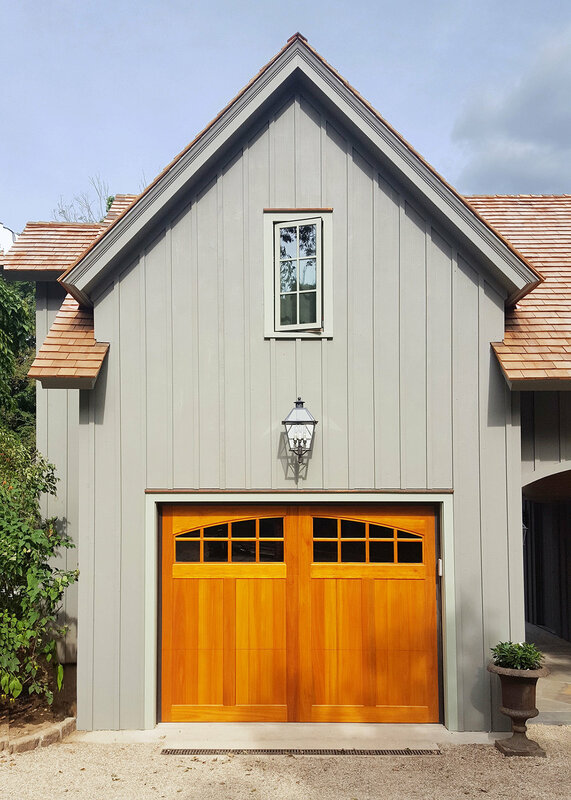 The goal with the new carriage house was to provide a garage, add a guest space, add to the charming character of the property, and create a buffer between the existing house and the main road. Trillium Architects drafted a unique solution: a 2-car garage bisected by a ‘dog trot’ barrel-vaulted walkway. The placement of the garage creates not only a buffer to the busy main road, but also a quiet garden courtyard between it and the main house. 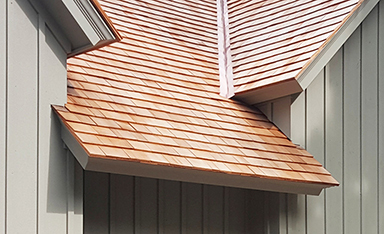 The pitched gable roofs and the board-and-batten siding match the original house, extending the charming aesthetic towards the front of the property. Guests arrive through the covered entryway, then continue on a wandering garden path to the front door beyond, or enter the mudroom to the left of the garden and head upstairs to the guest room. 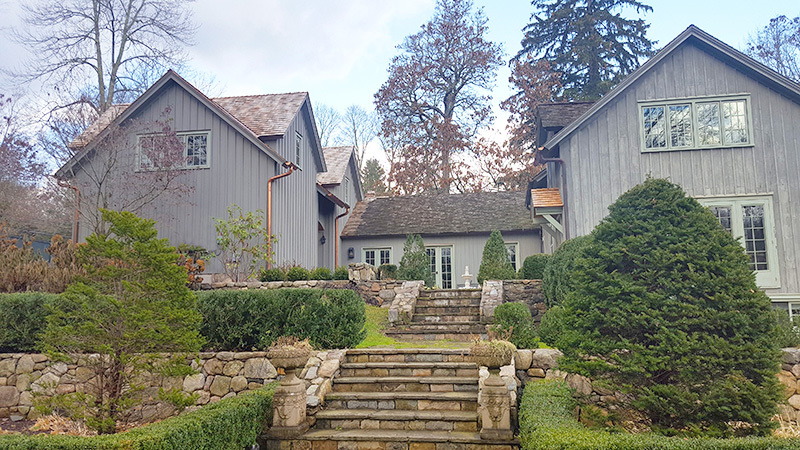 Well-insulated and zoned separately, the upper level guest and office space provides a cozy garret with views to gardens and pond below.